Matt Adams - Superheroes, Sci-Fi, and a Touch of the Fantastic: New short story out today! The latest issue of Strange, Weird and Wonderful is out! 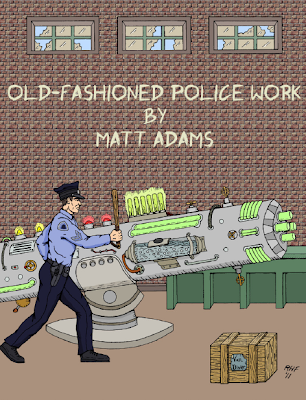 My story, "Old Fashioned Police Work" is included. I was even given some nifty artwork by Richard H. Fey. As an added bonus, my friend and confidant R.J. Sullivan (author of Haunting Blue) is this month's featured writer. You can download the issue here or by clicking on the image below.